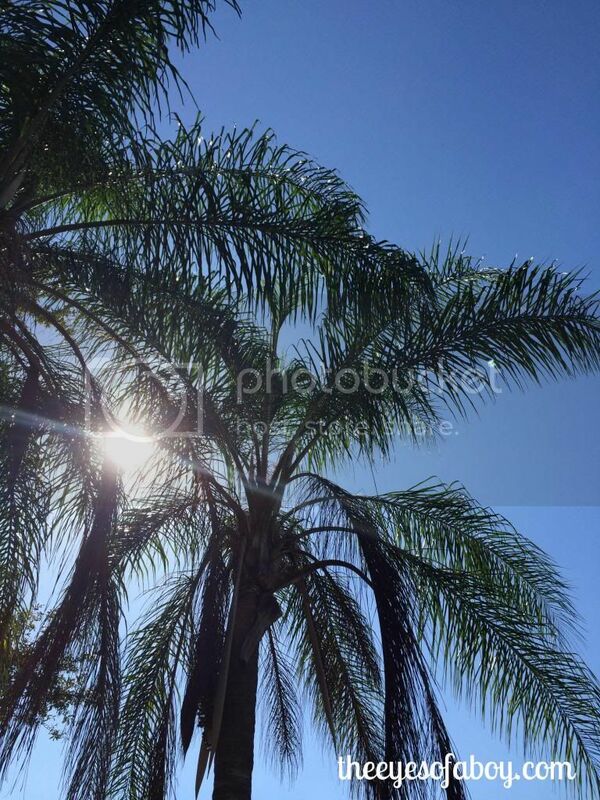 The South Florida weather has been pretty glorious lately. We love to do activities outside, but its also fun to combine arts and crafts with being out in the fresh air. 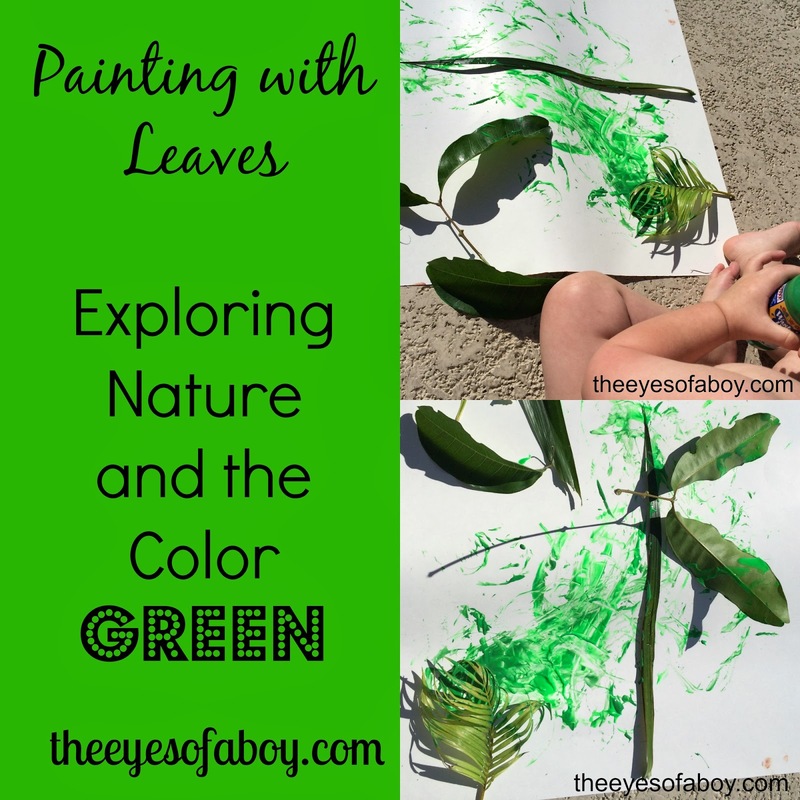 Little J (18 months) is trying to learn colors right now, and I thought it would be a nice idea to have him explore nature and then use the green leaves to paint with them. We went around the backyard on a little leaf hunt. He loves pointing out trees, birds and squirrels, so this was a fun way to get him involved in the world around him. 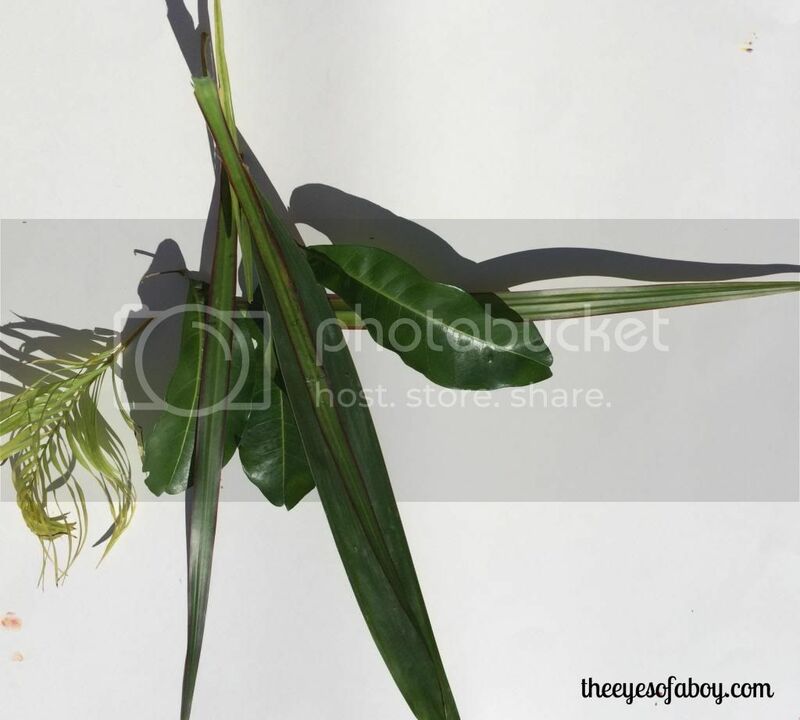 We especially talked about all of the beautiful green things we noticed, and we picked some very nice green leaves to use for the painting. 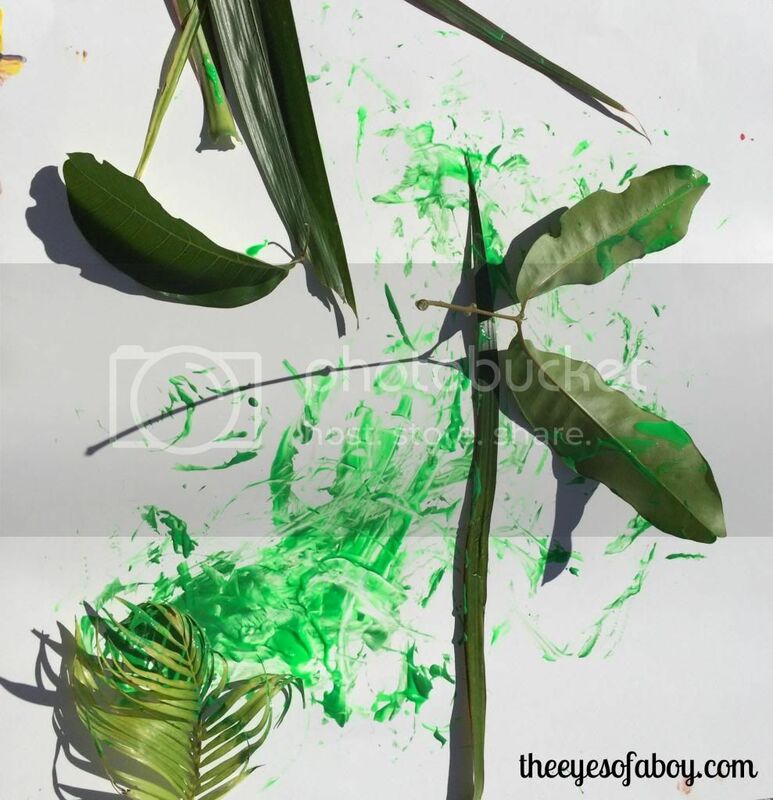 This leaf painting activity would be nice in any geographical area, to discover the trees and leaves that are native near you. 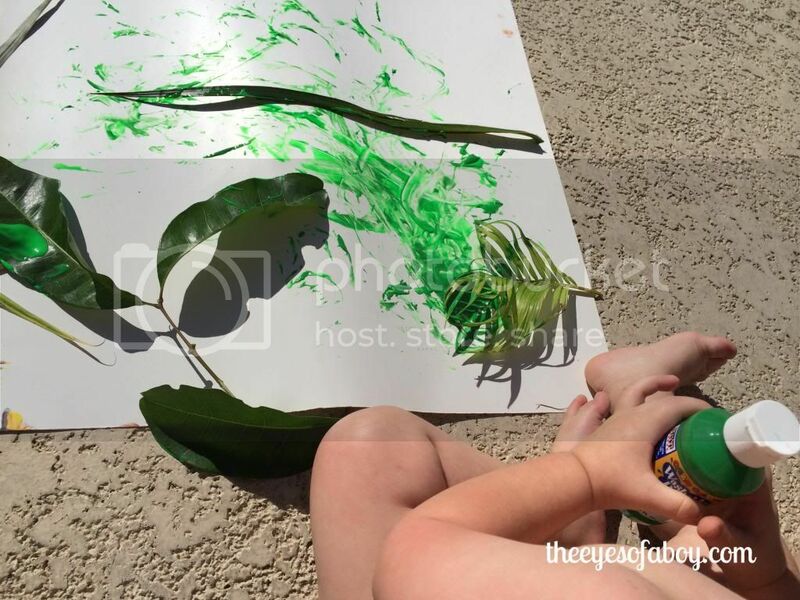 Then, we used some green paint to paint our white poster board with the leaves we picked. Little J wanted to squeeze more and more “neen” paint onto the poster board, and he did dip the leaves to and paint with them, too.